16525 Private James Collis, V. C. (Received the V. C. in the Second Anglo-Afghan War in 1880). 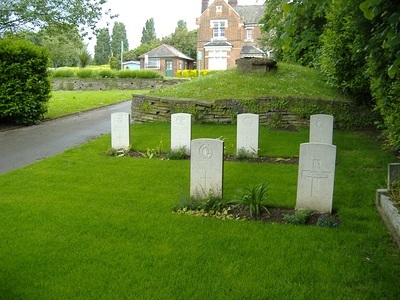 Suffolk Regiment, 28th June 1918, aged 62. Plot B. 20. 295. Husband of Adela Grace Collis, of Old Sapper's Lines, Mayo Rd., Poona, India. Native of Cambridge, England. Citation An extract from "The London Gazette," dated 16th May, 1881, records the following:- "For most conspicuous bravery during the retreat from Kandahar, (Afghan War, on 28th July, 1880), when the officer commanding the battery was endeavouring to bring up a limber, with wounded men, under cross-fire, in running forward and drawing the enemy's fire on himself, thus taking off their attention from the limber." James was born in Cambridge on 19 April 1856. 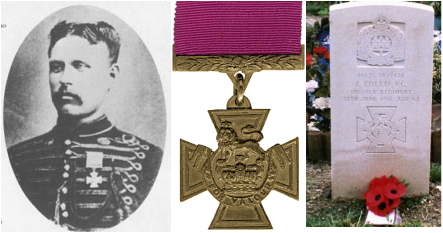 He was presented his VC, on Poona Racecourse, by Lord Frederick Roberts on 11 July 1881. Collis was one of eight men whose VCs were forfeited. He was stripped of the medal on 18 November 1895 after being convicted of bigamy. He enlisted in the Suffolk Regiment, in which he served as Private, service number 16525, in World War I, until discharged on medical grounds in August 1917. 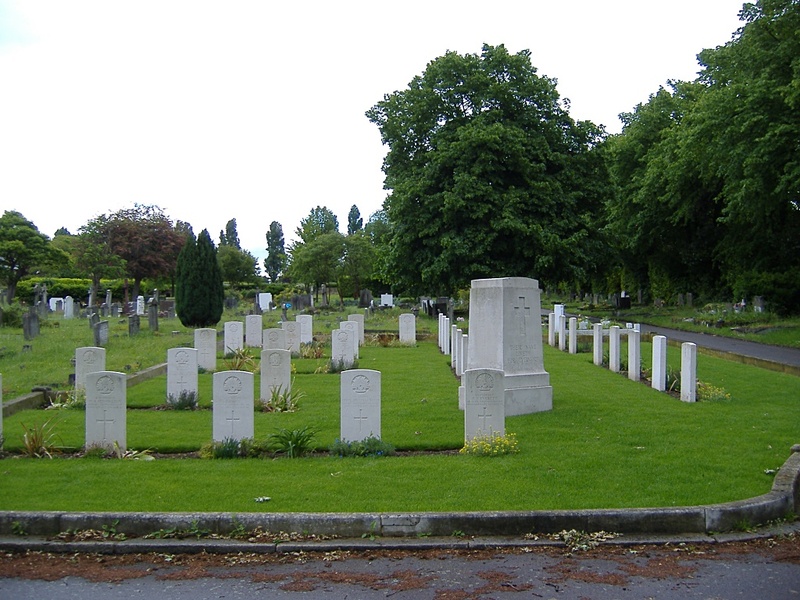 He died, aged 62, on 28 June 1918 of a heart attack in Battersea hospital. He left a widow, Adela Grace Collis, who was living at Old Sapper's Lines, Mayo Road, Poona, India. At his funeral his coffin was draped with the Union Flag and borne on a gun carriage escorted by a military firing party. 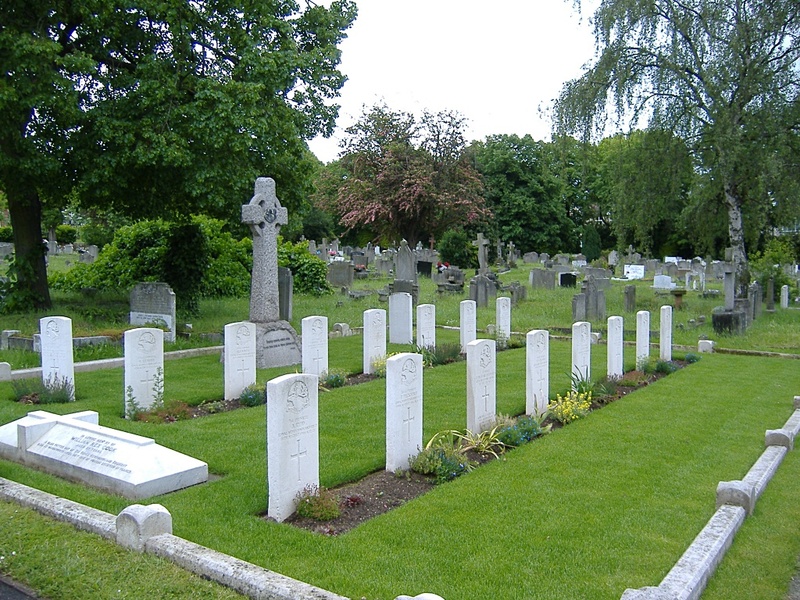 At Earlsfield Cemetery, Wandsworth he was given full military honours and there was no mention of his crime or the forfeiture of the Victoria Cross. 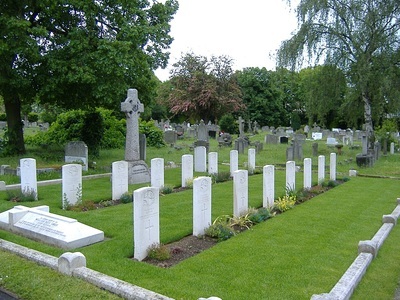 Although his burial, in Plot B, Section 20, grave 295 was registered with the Commonwealth War Graves Commission (initially omitting the postnominal VC), for 80 years he lay in an unmarked pauper's grave, with no headstone to acknowledge his act of bravery in the service of his country. 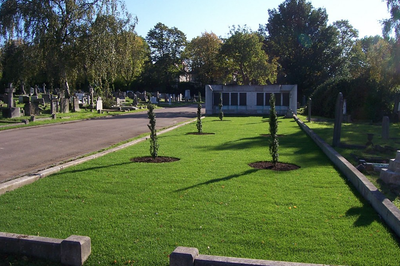 On 22 May 1998 a ceremony was held at Wandsworth Council's Earlsfield Cemetery in Magdalen Road to mark the erection of a headstone, resplendent with the carving of his Victoria Cross. 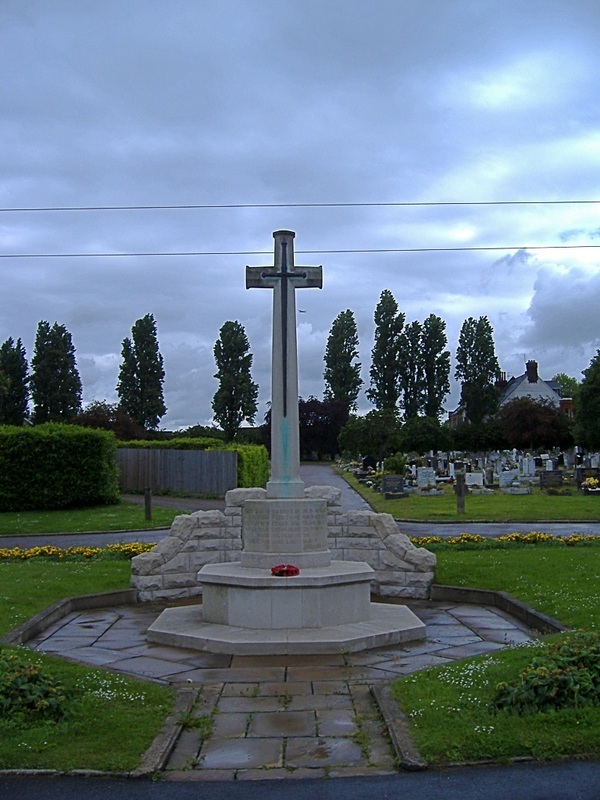 On Collis' death his sister made a plea to King George V to restore her brother’s name to the VC register. She received a sympathetic reply from the King’s private secretary Lord Stamfordhamwho while denying the request did support the proposal that Gunner Collis’ name should be inscribed with those of other VC recipients on the tablets of the Royal Artillery Victoria Cross Memorial. 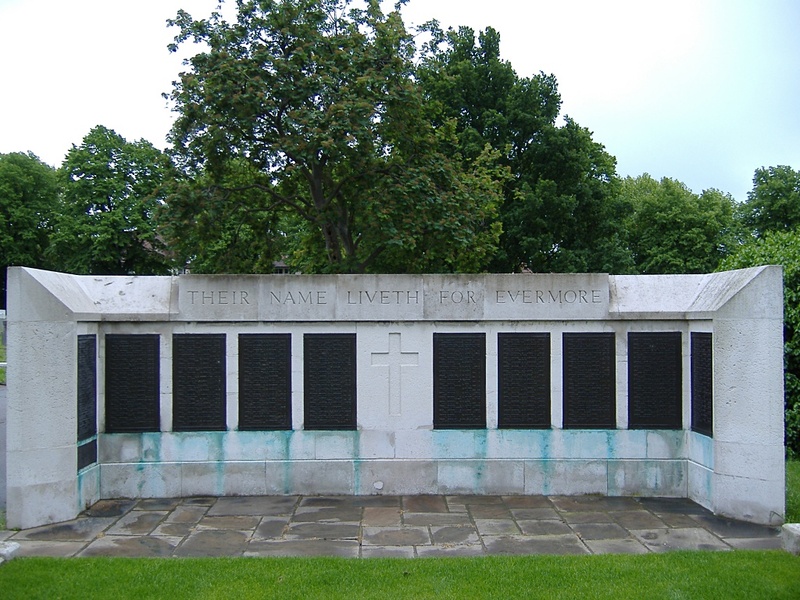 When the subject of forfeiture was again raised, the King’s view that ‘no matter the crime committed by anyone on whom the VC has been conferred, the decoration should not be forfeited’ was expressed in another letter by Lord Stamfordham on 20 July 1920. There is no evidence to support the suggestion that this was in response to the earlier petition from the sister of James Collis. The medal was bought by Lord Ashcroft in 2014 and now resides in the Imperial War Museum, London.